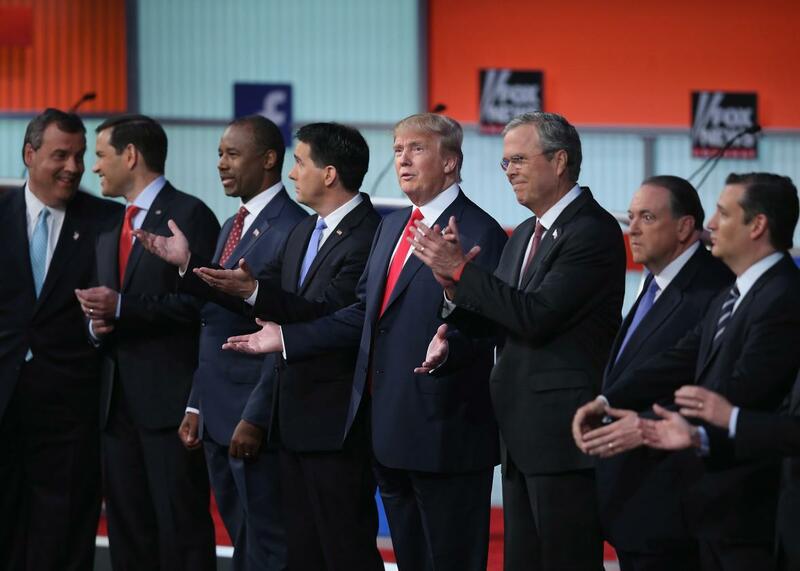 GOP contenders are firm in their disdain for gun control. The Republican presidential candidates take the stage for the first prime-time presidential debate hosted by Fox News on August 6, 2015 in Cleveland. National Rifle Association officials will undoubtedly be watching Tuesday’s CNN debate—though they don’t really need to. The entire GOP field has been unwavering this year in their support of the unrestricted Second Amendment and belief that the only way to curb gun violence in the United States is with more guns. There’s no reason to expect any of the Republicans on the main stage will change their tune tonight. Of the nine candidates on the Las Vegas main stage, six can boast of receiving an A grade from the NRA in the past: Ted Cruz and Jeb Bush have earned A-plus ratings; Marco Rubio, Rand Paul, and Carly Fiorina have notched As; and John Kasich can lay claim to an A-minus. The senators in that group—Cruz, Rubio, and Paul—all have voted against post-Newtown efforts to restrict access to guns. Bush, meanwhile, can brag of the pro-gun legislation he signed while governor of Florida, including the state’s Stand Your Ground law. But since jumping into the 2016 race, Trump’s taken a hard turn to the right. In the immediate wake of the mass school shooting in Oregon in October, Trump brushed off the very idea of addressing gun violence by suggesting success was impossible. Shortly after, he began to sound like an NRA talking point by explicitly blaming gun restrictions for gun-related deaths, both in Paris and in the United States.